I’m always on the look out for ways to keep the kids entertained that doesn’t also drive me insane! It’s “Mid-winter break” this week – that’s half term to the rest of us – and T is off school. 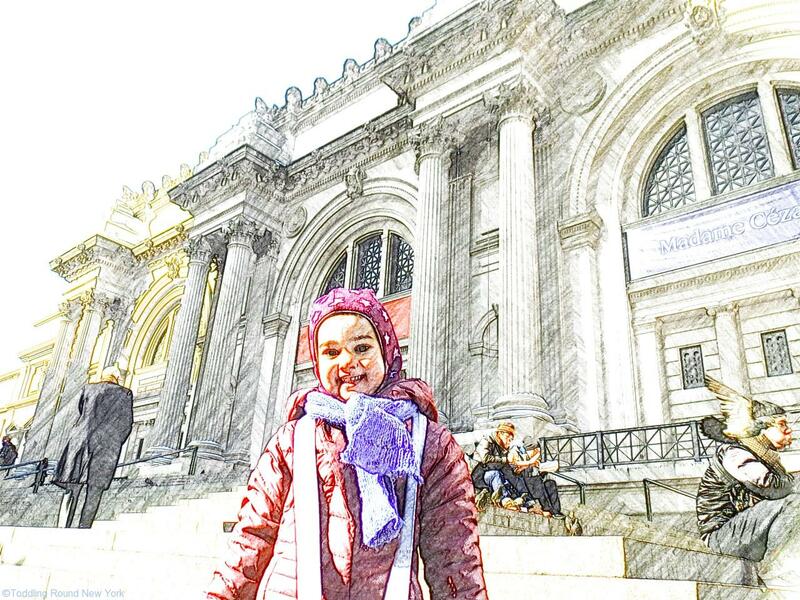 So yesterday we planned a ‘specially day’ to the Metropolitan Museum of Art on Fifth Avenue with one of her school friends. T’s now old enough to handle a day out without the pushchair, as long as there’s not too much walking (always a risk in Manhattan). The subway is a breeze with one child on foot, and we reached 86th Street station without mishap. A quick five minute walk down Museum Mile along the edge of Central Park, and we met our friends at the museum. There’s something so iconic about ice skating in New York. It feels like you’re in a film. Some old friends flew out from London last week, and gave us a great excuse to hit the classic tourist spots. See the Rockafeller Center Christmas tree? Tick. Admire the 5th Avenue window displays? Tick. Go ice skating in Central Park? Tick. Visit the Statue of Liberty and Ellis Island? Tick. Go out for a bit of live music at Cafe Wha in Greenwich Village? Tick tick tick. It felt v gratifying to be the local rather than the tourist, and made me realise how much of the city I’ve explored and am now a part of. Apologies for the unusually long silence since the last post. Realised it had got out of hand when a friend emailed to check everything was OK. No cause for alarm, folks, just the combination of a busy Thanksgiving, buying and wrapping Christmas presents, and last but not least, taking on the extra challenge of making B a quilt for Christmas. It’s coming along pretty well, actually; have been reading up on quilting blogs for all the different stages involved (sooooooo much preparation), and it’s nearly finished. When it’s done, I’ll upload some photos as have so enjoyed the project. But it has sucked up all the time usually spent on this blog….